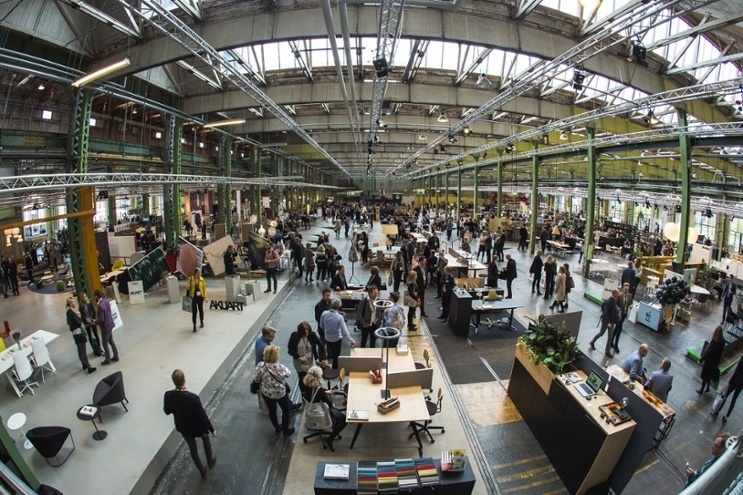 Trends & Traditions Copenhagen is not your typical trade fair. 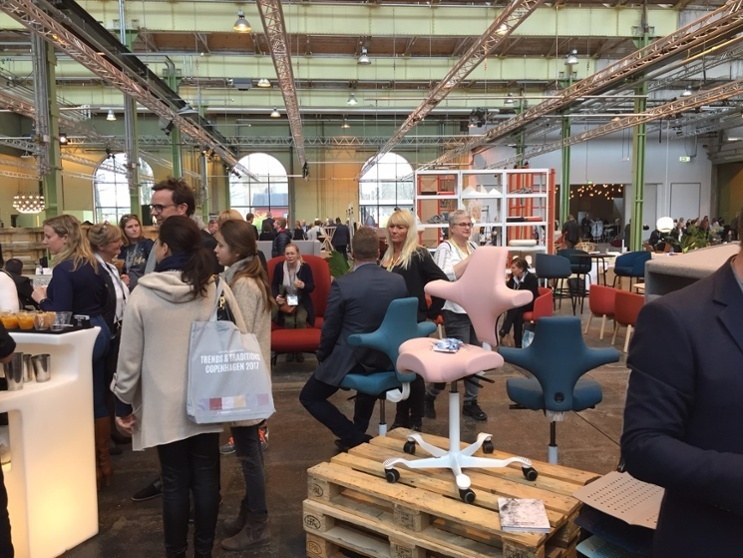 Hosted by Holmris.designbrokers, key players across the industry meet up to understand and discuss the latest, well, trends and traditions, in the world of furniture design. Lasting only one day, it’s a brief coming together of ideas that leaves a lasting impression. For the third consecutive year, we were invited to showcase the latest designs from across all of our brands, and join the conversation. One thing that grabs you upon arrival is the location. 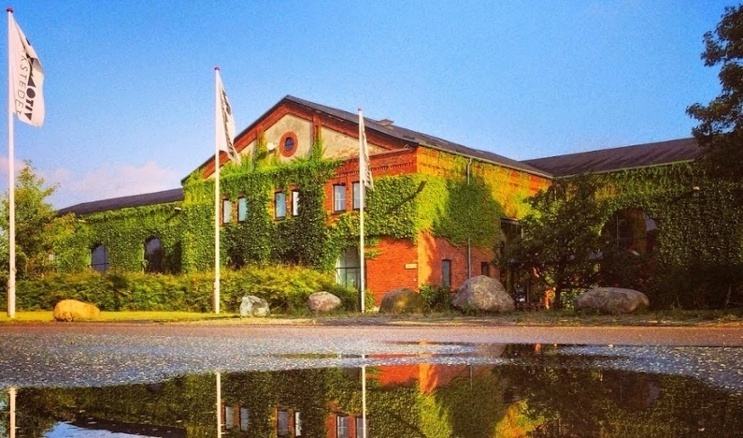 The Lokomotivværkstedet is a beautiful building, originally built in 1907 as a locomotive workshop, with up to 1,400 employees at its peak in 1945. Now a 9000m2 conference centre, the building retains its raw and rustic look, with its floor to ceiling windows and iconic roof structure of wood and glass creating an atmosphere filled with natural light and impressive architecture. Upon entering the exhibition you immediately notice the absence of walls and partitions between stands usually intrinsic to trade fairs. This open plan style adds to a sense of togetherness, and encourages more communication and interplay, without compromising on acoustics. It has an indoor marketplace feel to it; it feels welcoming and inclusive. 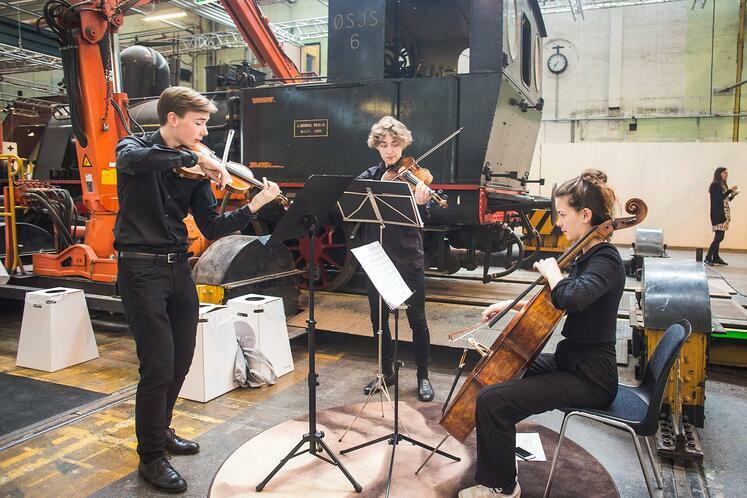 This openness is also extended to amenities, with free entry to the event (after signing up on their website), and all food & drink stalls complimentary. A classic London bus had beer flowing from 10am. Another noticeable difference is the style of exhibitor stands. Everything is simple. No grand installations, just quality designs showcased in small, stripped back, rustic displays. And with everyone together in this approach, the products speak for themselves, adding to the overall feel of the day. 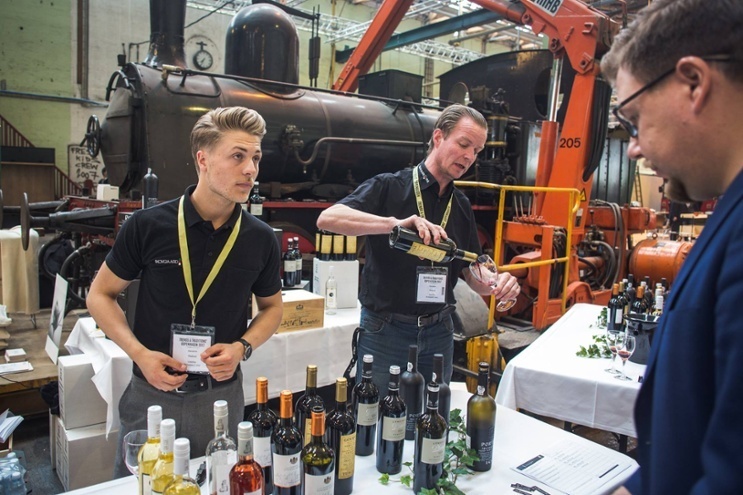 Over 120 different exhibitors took part this year, with many more on a waiting list. 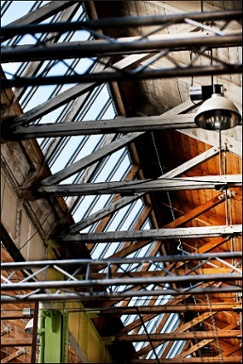 Space is also preserved for emerging talent from local design schools and universities. And that brings us to perhaps its most defining feature; it’s just one day. Instead of all the action spread out over a week, it condenses it into one single day of talks, meetings and conversations. 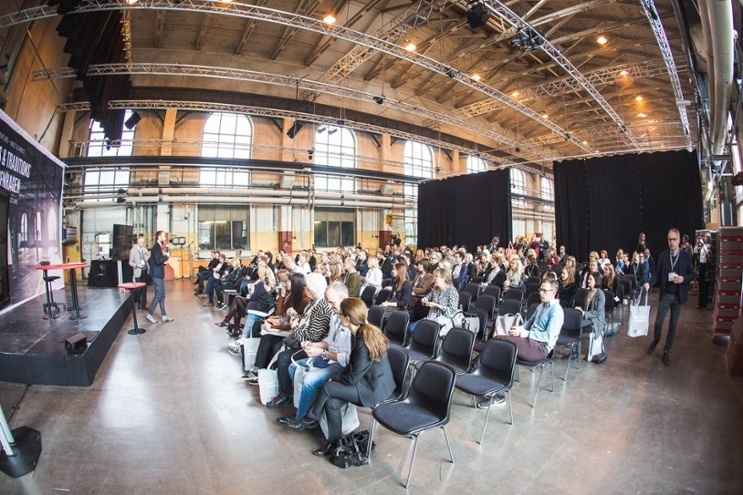 This reduces the “tradeshow fatigue” that accumulates over a 5 day event, and forces exhibitors and professionals alike to be focused, and have a more productive, busy day. For 2017, the focus of the event was on the dilemnas of the industry. 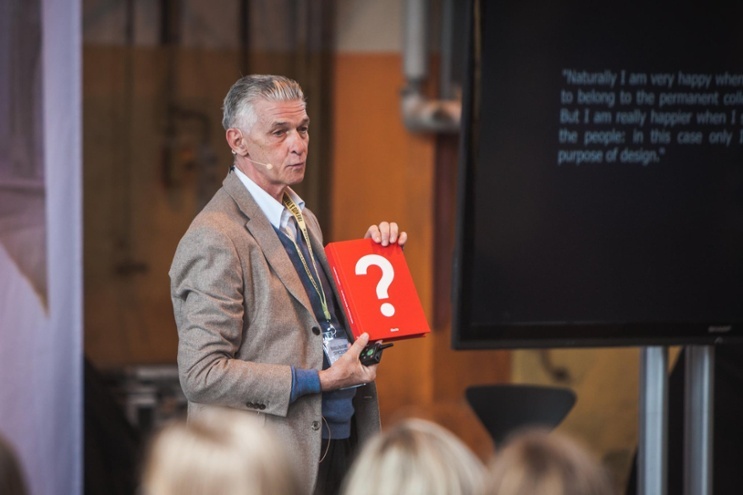 Informal sofa conversations, presentations by international top names and debates chaired by radio personality Mads Steffensen centred on these issues, with important questions asked more often than specific answers spoonfed to the audience. Debates on hotel interior design of the future, and the 2pm debate "Office vs. Coffice?" were particularly lively. For Flokk, it was a chance to showcase our latest designs, with the HÅG Tribute, HÅG SoFi mesh, HÅG Capisco, RH Mereo and RBM Noor the only products on display in our modest 80m2 display area. 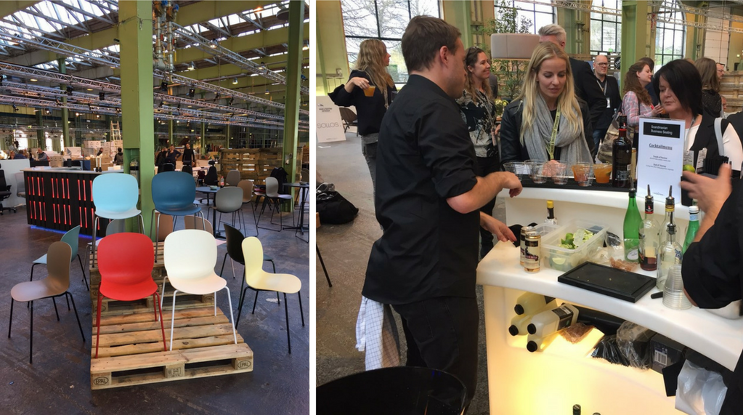 With just a few pallets, and a simple counter, the stand was ready to share our vision for seating, our ideas for the workplace, and of course a cocktail or two! 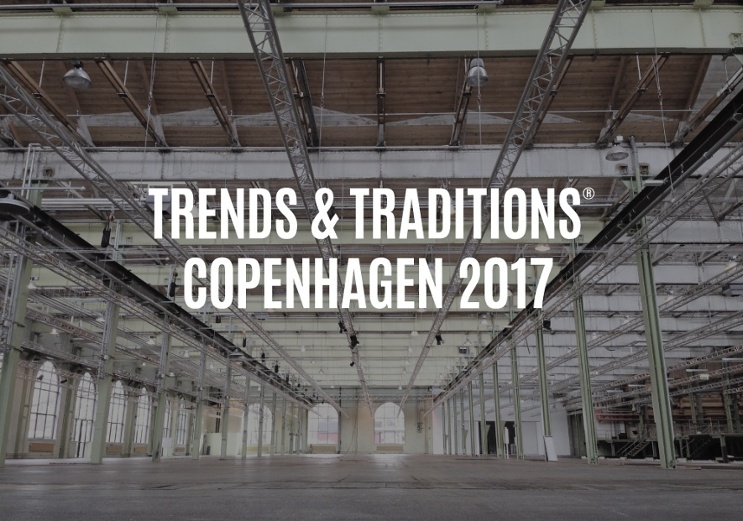 Trends & Traditions Copenhagen lives up to its claims not being a regular trade fair. It really does have a warm yet productive atmosphere, and the borderless qualities in its design encourage a borderless sharing of ideas across professions and industries. The elements outlined above do create a unique trade show experience, and one to look forward to again in 2018. Check out the story behind our Copenhagen showroom redesign by the award winning Henning Larsen Architects.